As a Hinase summer tradition, this fireworks show remains deeply popular. 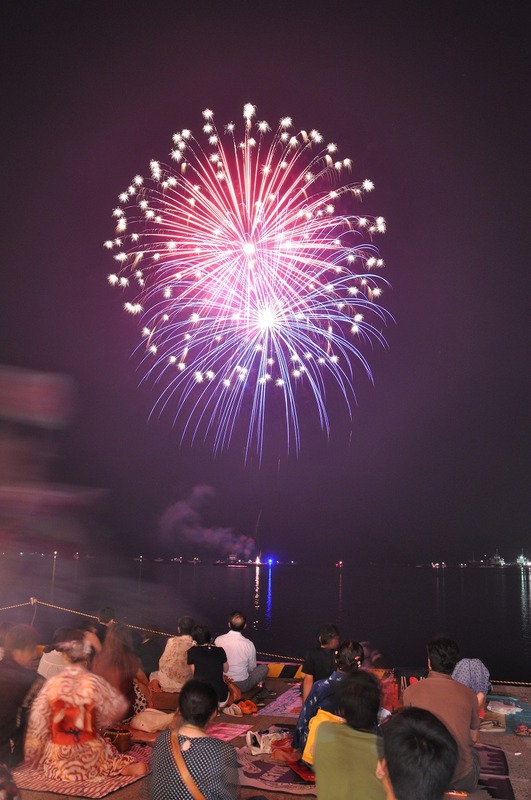 Launched from the center of Hinase Bay, the fireworks can be observed from many areas around the bay, particularly from the port, so it draws in many visitors each year. 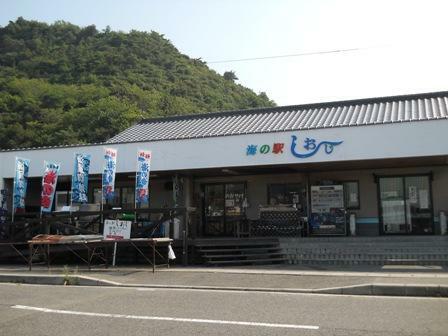 The special effect fireworks and aquatic fireworks-rare in Okayama Prefecture-are the most popular. 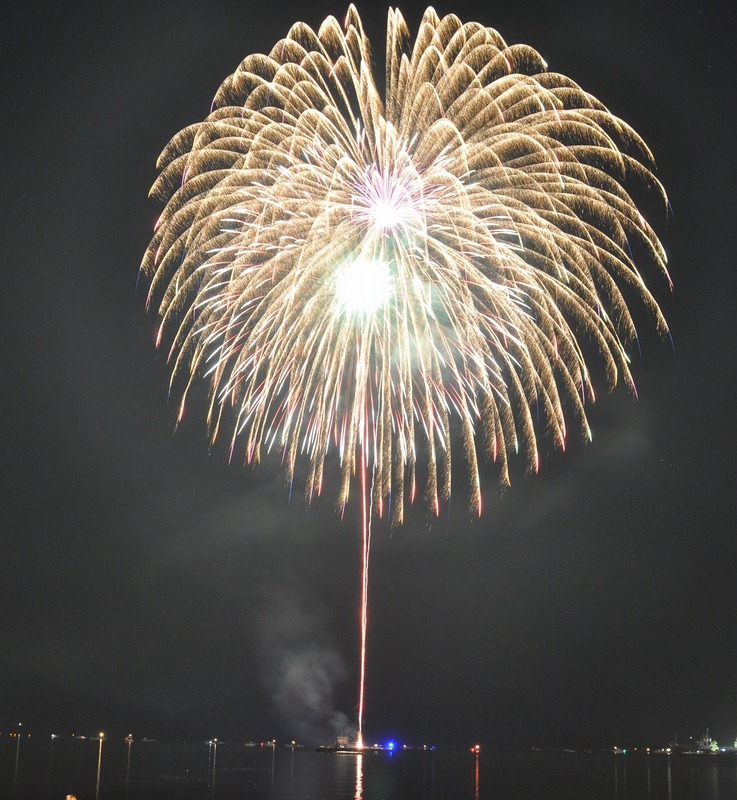 Since Hinase Bay is surrounded by mountains and islands, the roar of fireworks reverberates to create an impressive explosive sound you will feel. The islands of the bay are illuminated by the light of the fireworks, creating a mysterious and beautiful scene.